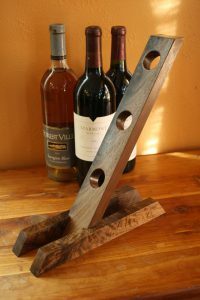 The wine rack is a very simple and very functional design. 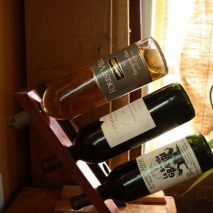 Due to the balance of the design, one to three bottles can be displayed, individually or together, for a unique wine loving experience. 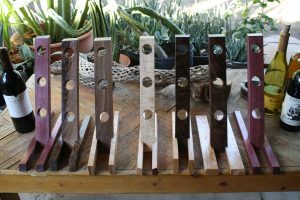 Made from reclaimed, recycled woods, usually walnut, maple and purpleheart.